Deepest condolences to the Castillo clan as another Sagunto elder passes on. 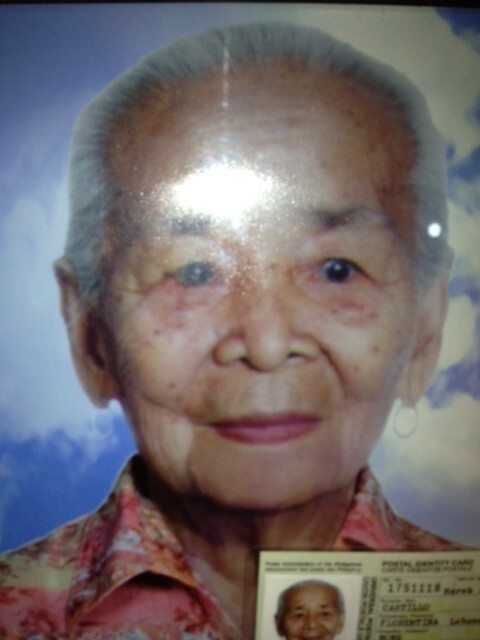 Rest in peace, lola Tinang. This entry was posted in Obituaries and tagged Castillo, Obituaries on May 15, 2013 by Jeanette. To hand to every grandchild in his journey. Our wandering people have always dreamt. Welcome visitors, relatives and me. Of losing special people, again and again…? And that, as we keep gaining, we keep losing…?